UAE-based aerospace company Calidus has revealed to the world its B-250 light strike aircraft at the Dubai air show. The all-new, multirole strike and surveillance aircraft was developed over only a two-year period in conjunction with Brazilian aerospace company Novaer. 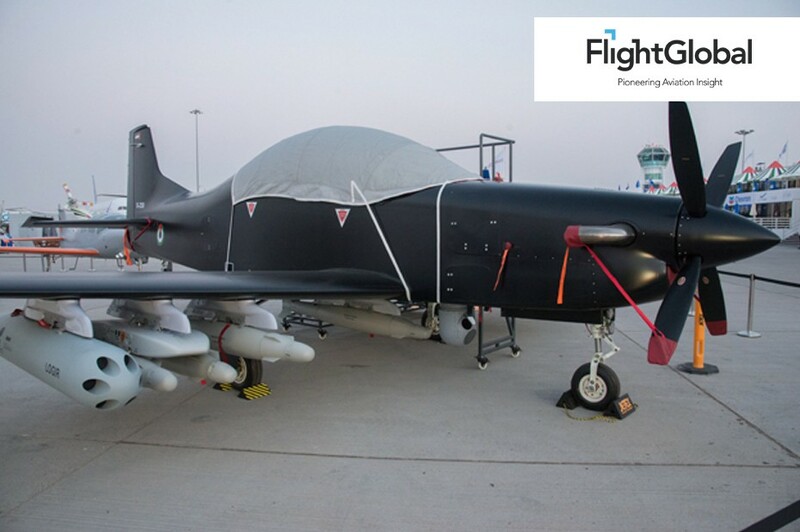 Constructed out of lightweight carbonfibre, the aircraft is powered by a Pratt & Whitney Canada PT6A-68 engine and features a Rockwell Collins ProLine Fusion avionics suite. Bearing some similarities to the Embraer Tucano, the B-250 has been designed from the ground-up as a strike aircraft, rather than a platform adapted to the role, which Calidus says is a major advantage over competing products. In the strike, counter-insurgency, close-air support and ISR roles, the aircraft can be equipped with seven munitions and an electro-optical sensor pod. Sources close to the company say the aircraft has already generated significant interest from potential customers. Production of the new aircraft is in its early stages at Calidus’s facility in Al Ain.